A microbe that ‘eats’ both methane and iron: microbiologists have long suspected its existence, but were not able to find it - until now. Researchers at Radboud University and the Max Planck Institute for Marine Microbiology in Bremen discovered a microorganism that couples the reduction of iron to methane oxidation, and could thus be relevant in controlling greenhouse gas emissions worldwide. Their results are published in the scientific journal PNAS on October 24, 2016. The balance between methane-producing and -consuming processes has a major effect on the worldwide emission of this strong greenhouse gas into our atmosphere. The team of microbiologists and biogeochemists now discovered an archaeon - the other branch of ancient prokaryotes besides bacteria – of the order Methanosarcinales that uses iron to convert methane into carbon dioxide. During that process, reduced iron become available to other bacteria. Consequently, the microorganism initiates an energy cascade influencing the iron and methane cycle and thus methane emissions, describe first authors Katharina Ettwig and Baoli Zhu in the paper. Methanosarcinalesesides, these archaea have another trick up their sleeve. They can turn nitrate into ammonium: the favourite food of the famous anammox bacteria that turn ammonium into nitrogen gas without using oxygen. 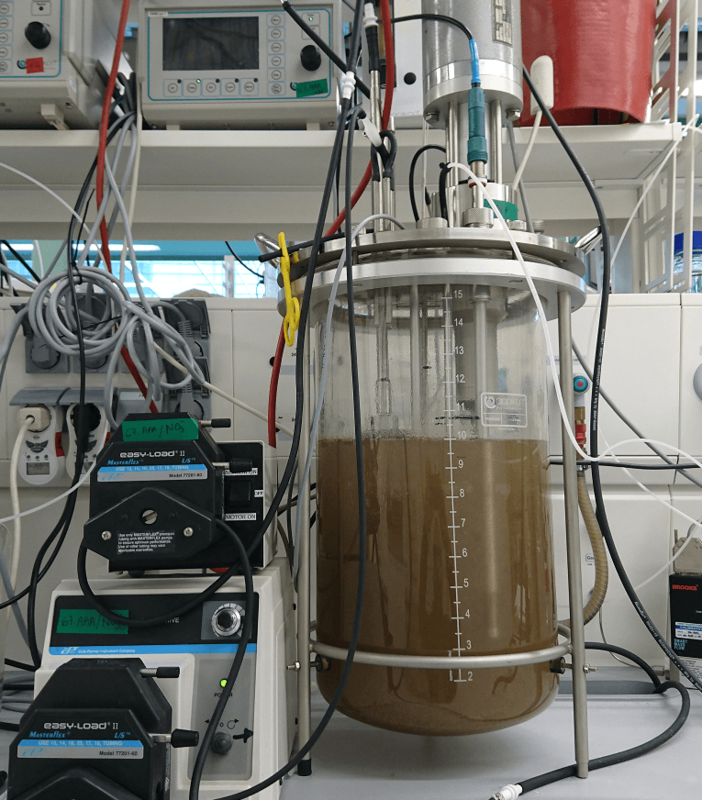 “This is relevant for wastewater treatment”, says Boran Kartal, a microbiologist who recently moved from Radboud University to the Max Planck Institute in Bremen. “A bioreactor containing anaerobic methane and ammonium oxidizing microorganisms can be used to simultaneously convert ammonium, methane and oxidized nitrogen in wastewater into harmless nitrogen gas and carbon dioxide, which has much lower global warming potential.” The same process could also be important in paddy fields, for example, which account for around 20 percent of human-related emissions of methane. The newly discovered process could also lead to new insights into the early history of our planet. Already billions of years ago, Methanosarcinales archaea might have abundantly thrived under the methane-rich atmosphere in the ferruginous (iron holding) Archaean oceans, 4 to 2.5 billion years ago. More information on the metabolism of this organism can therefore shed new light on the long-standing discussion of the role of iron metabolism on early earth.